The average annual spending on the maintenance of a university website is £60,375. That figure excludes additional spending on one-off redesigns, for which the average spending is £60,882. 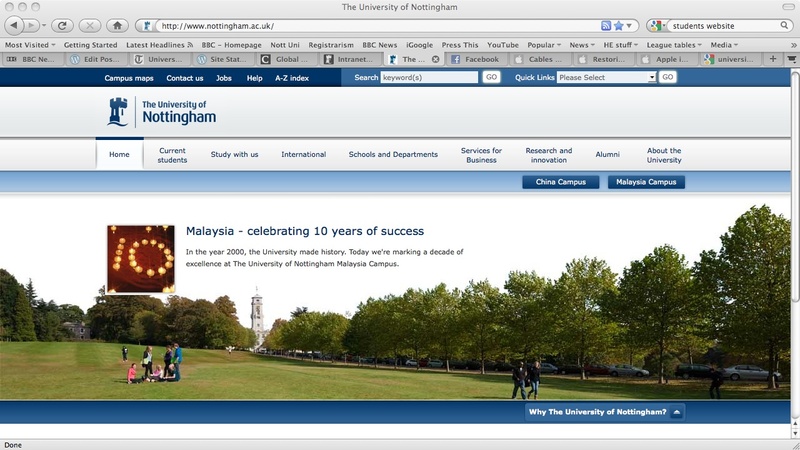 The most expensive university website is the University of Hertfordshire’s, which spent £278,094 on a redesign by Precedent Communications and Straker UK, completed in May 2008. The university also employs staff whose salaries cost £221,500 every year, in addition to £14,500 each year for software support. The reality is though that every university will account for its spend on its website differently with some being more centralised and others being more devolved. Whichever way you look at it though, spending £60k a year on maintaining a website seems an extremely modest investment for such a key recruitment, promotional and communications tool. The survey split university websites into three categories — well performing, average performing and badly performing — based on five principles including accessibility, contact information, the availability of good feedback from students, the uniqueness of the website and the quality of insight into the campus experience. Comparing spending information with the Times Higher Education survey suggests that some universities may be under-investing in their websites. So, the conclusions are that some universities are under-investing and others are spending too much and no-one has really got the balance right. Helpful. This entry was posted in Admin, Communications, Education, HE, Management, Students, University, web and tagged admissions, Daily Telegraph, FOI, HE, Students, THE, University, web, website by Paul. Bookmark the permalink.